Sheffield Olympic Legacy Park has been recognised by a Royal visit. A leading Olympic legacy project in Sheffield was visited by HRH, The Duke of Gloucester on Tuesday 19 March. The Duke was welcomed to meet representatives involved with the project, which is transforming one of the most deprived areas of the UK. Former Minister for Sport and Project Lead for Sheffield Olympic Legacy Park, Richard Caborn, said: “We were honoured to welcome The Duke. It was wonderful to show how we are delivering the four key themes from London 2012: Sport – improving infrastructure and providing access for all levels of ability. An evolution of the Sheffield City Region Innovation District aims to place physical activity and prevention at the heart of the NHS, tackling key health and wellbeing issues affecting the nation. 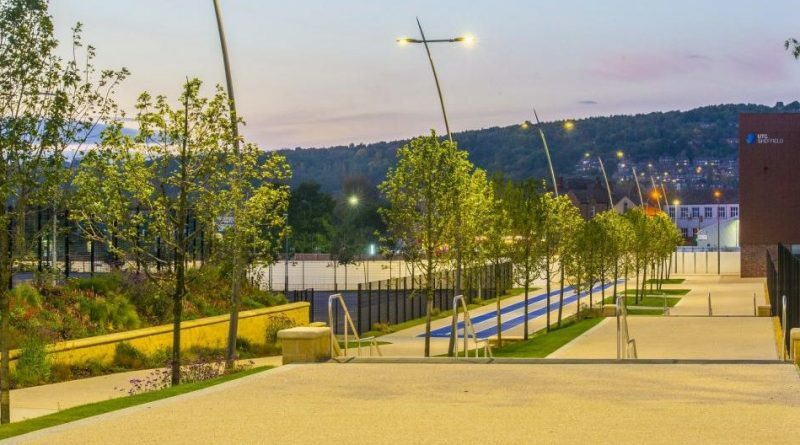 Councillor Olivia Blake, Deputy Leader at Sheffield City Council, said: “We’re very proud to demonstrate the excellence here at Sheffield Olympic Legacy Park to a royal audience and welcome The Duke of Gloucester to Sheffield. “With partners across the city, we have created a truly innovative home for sport, education and research and it’s wonderful that this is being recognised. “The Park is certainly living up to its name in terms of the legacy created since the 2012 Games, providing education and training, plus some of the best opportunities for sports participation, to thousands of people.